Urban Herbal Girl here. 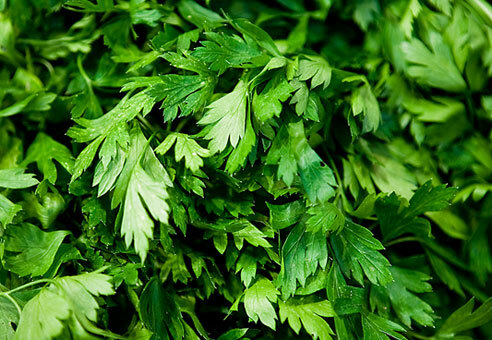 Have you ever wondered why they place that piece of parsley on your plate at restaraunts? To add color? To freshen your breath? Yes and no. Turns out it might be the healthiest item on your plate. Parsley contains the more vitamin C than any other plant and the most iron of any green leafy veggie. It is very high in iron, beta-carotenel chlorophyll, and vitamin A, B, E, K, and folic acid. It’s pretty much awesome! I’ll take some parsley over iceberg lettuce any day. In herbal medicine, parsley is used as a diuretic. After drinking cups of parsley tea, it stops the body from absorbing salt into body tissues and forces toxins out of the kidneys, liver, and bladder. This can help those with enlarged prostates, bladder infections, menstrual cramping, and indigestion. There are also studies that parsley can help alleviate arthritis, asthma, allergies, diabetes, and can also boost your iron levels to help you recover from an illness. Of course, this is when it is combined with other remedies, so always consult a doctor first. Did I mention that parsley also contains calcium and magnesium? Any woman should include parsley and other calcium-magnesium rich foods in their diet to prevent osteoperosis. And because it is rich in antioxidants parsley also helps to prevent cancer when combined with an overall healthy diet. Try eating more tabbouleh, or get creative by adding parsley to your next batch of quinoa or millet and throwing in some almonds or pine nuts with a little olive oil. It adds color and vitamins to soup, salads, and grains and is so easy to incorporate in your diet. This recipe was provided by Molly Watson. 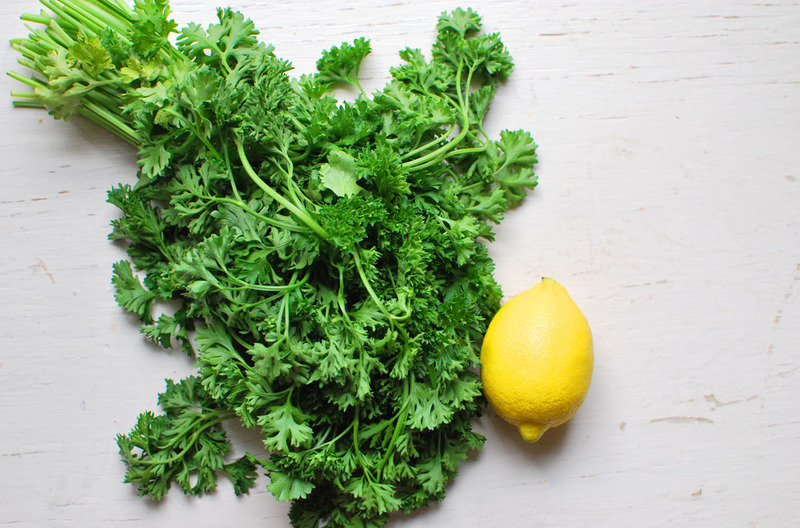 I love combining parsley with lemon and thought this would be a perfect perk-up during the month of February. Note: You’ll find preserved lemons in Middle Eastern and gourmet groceries, or, for the best results, make your own. In a small bowl or measuring cup, combine oil, lemon juice, garlic if you like, salt, and pepper. Set aside. Remove and discard large stems from parsley. 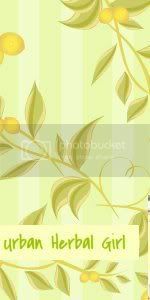 Coarsely chop leaves and put in a large salad bowl. Cut mint into thin strips and add to parsley if you like. Remove and discard lemon flesh, rinse rinds, and chop them finely. Add to parsley. Toss to combine. Drizzle salad with dressing and toss thoroughly. 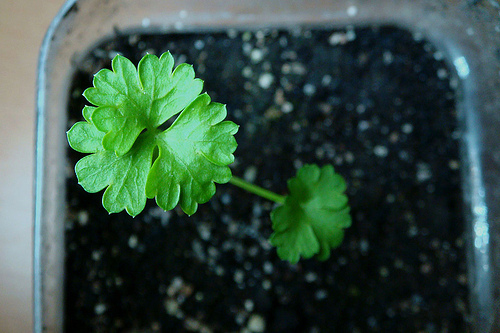 As the gardening season creeps upon us, consider including parsley in your gardens or on your windowsills. Along with all of these benefits to your body, parsley attracts some wildlife such as swallowtail butterflies and bees. Until spring comes around, consider starting some parsley seeds in some egg cartons on your windowsill and find some organic parsley at your local coop or Whole Foods. Here’s to waiting for spring!